The ‘Ike Wai gateway, which is a platform dedicated to ensuring Hawai’i’s water security through research, education, and community engagement, has been featured in an article by Science Node. The interview with Sean Cleveland featured in the article (copied below) took place at the Gateways 2018 conference in Austin, TX. 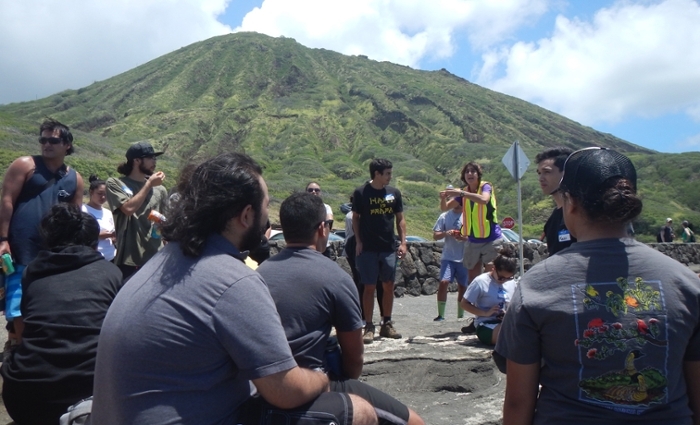 ‘Ike Wai is an SGCI client, and project team members were participants in the May 2018 Science Gateways Bootcamp. How the island paradise is ensuring its water security. An estimated 1.1 billion people lack access to clean water worldwide. As the water systems that keep our taps running and our crops fed continue to be strained by a growing population and increasing pollution, the problem is expected to get worse. Water knowledge. Hawai'i's isolation and unique volcanic topography means that freshwater is a precious resource. 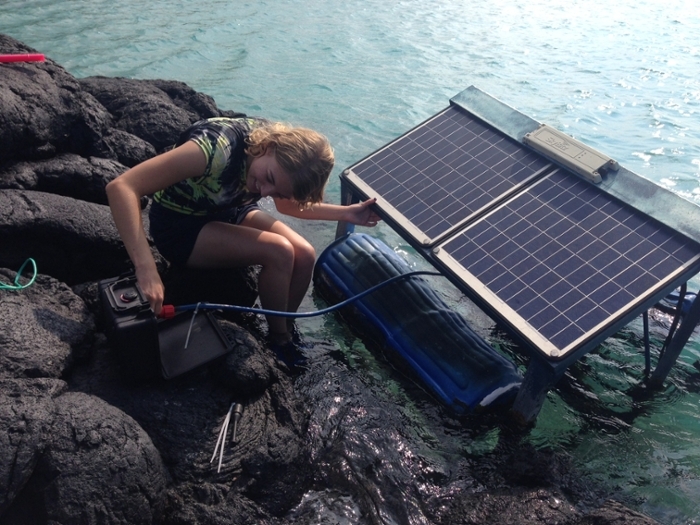 The 'Ike Wai Gateway project makes it easier for scientists to collect, analyze, and share valuable water data. This threat is not lost on Hawai’i, a cluster of islands that faces a unique set of challenges due to its isolation and its unique volcanic geophysics. “Hawai’i typically has only about three days’ worth of resources if airplanes and boats stop coming. You’re far out if you need to get fresh water,” says Sean Cleveland, lead software architect at the University of Hawai’i’s (UH) ‘Ike Wai gateway. ‘Ike Wai (meaning “knowledge” +“water”) is a platform dedicated to ensuring Hawai’i’s water security through research, education, and community engagement. Although the project has been in the works for about three years, the gateway went online just a few months ago. Right now, most of the users are the researchers who make up the ‘Ike Wai program. While some are looking at the geophysics of Hawai’i relating to water, others are performing microbial testing on the state’s various wells and watersheds. The hope is that, like the watersheds of Hawai’i, the gateway will serve as an interconnected resource for the community at large, scientists, and public officials who make the decisions about water policies in the state. 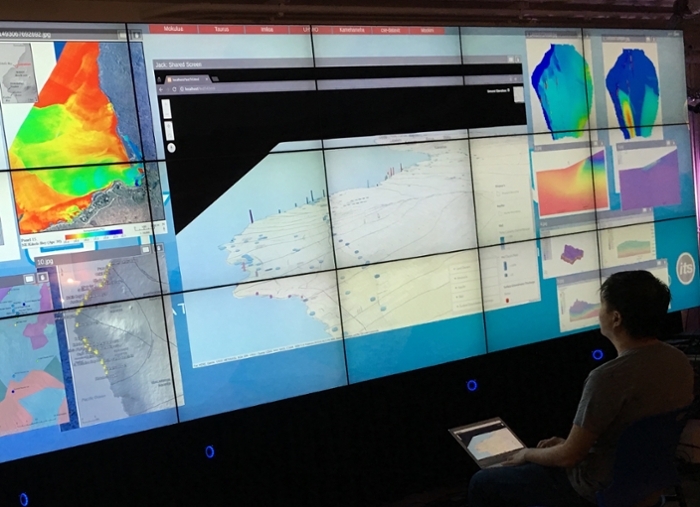 To do this, Cleveland says ‘Ike Wai uses XSEDE resources, including Jetstream, a cloud environment designed to provide interactive computing and data analysis to researchers. They’re also looking into using the Stampede2 supercomputer at the Texas Advanced Computing Center (TACC) to supplement the capacity of UH’s own high performance computer cluster. Because the system is still new, Cleveland says one of the biggest challenges in developing the gateway is the initial lack of data. They’ve combatted this by, at first, importing information from other repositories. They’re also exploring methods used by agencies like the National Science Foundation (NSF) and the National Institutes of Health (NIH) that require researchers to deposit their data when using the gateway. But the more data they collect, the greater the responsibility to keep it secure. Without appropriate security measures, hackers could use the tool as a literal gateway into UH’s system at large—which houses valuable student and other data. Which is why they’ve partnered with Trusted CI to conduct a cybersecurity assessment. Cleveland and his team are also working with the Science Gateways Community Institute to ensure the ‘Ike Wai gateway is as accessible and easy to use as possible for researchers, policy makers, and citizens. This includes a data visualization tool they’ve been developing with the United States Geological Survey (USGS). ‘Ike Wai is ingesting USGS data into their gateway to provide water managers with scenario tests that can inform their decisions on how to use available land for things like farming. The 'Ike Wai project is funded by the NSF EPSCoR RII Track 1 Program - Grant NSF OIA #1557349.